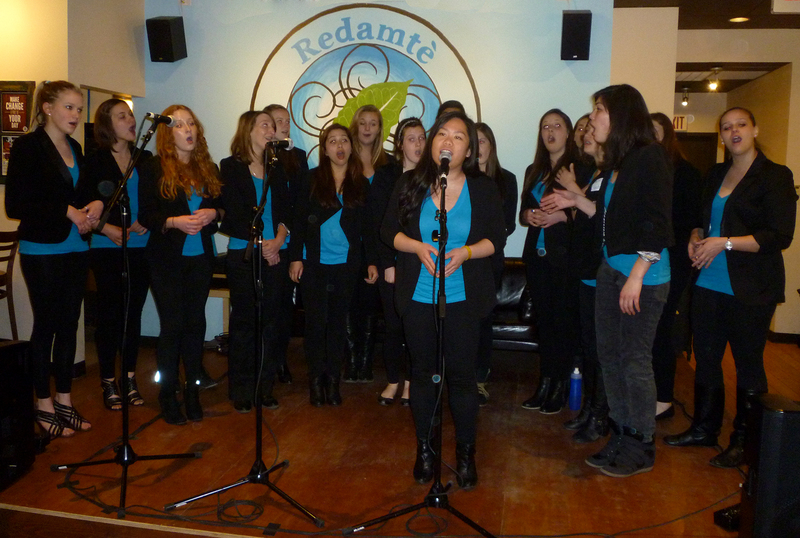 Yesterday, we shot a fundraiser event at the Redamtè Coffee House in Madison. 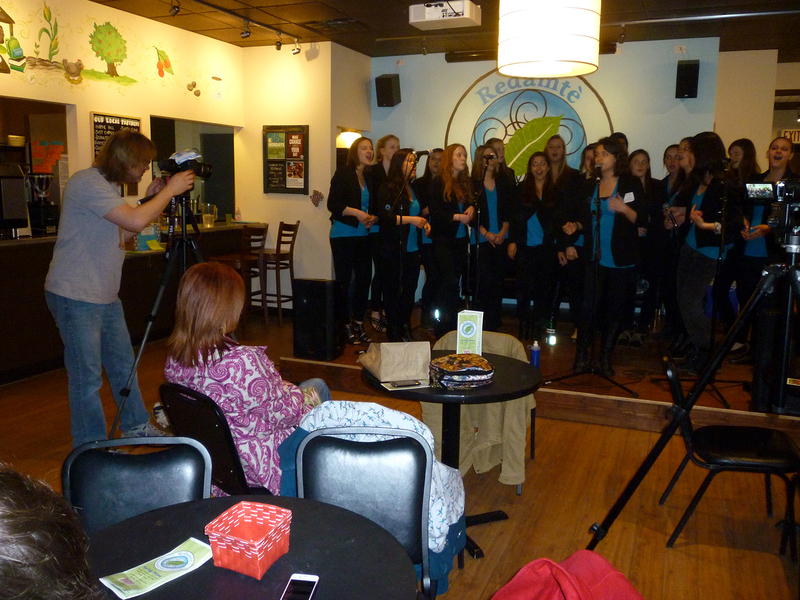 Robert, along with producer Colin Cameron, filmed the University of Wisconsin women's a capella group, Tangled Up In Blue. The group is hiring their own editor to put the footage together, but here's an unedited excerpt from just one of the cameras. The song is Never Let Me Go by Florence And The Machine. Also appearing on stage was local street performer Art Paul, plus members of the homeless cooperative newspaper, Street Pulse. All benefits from the video shoot will go to assist the area's homeless.